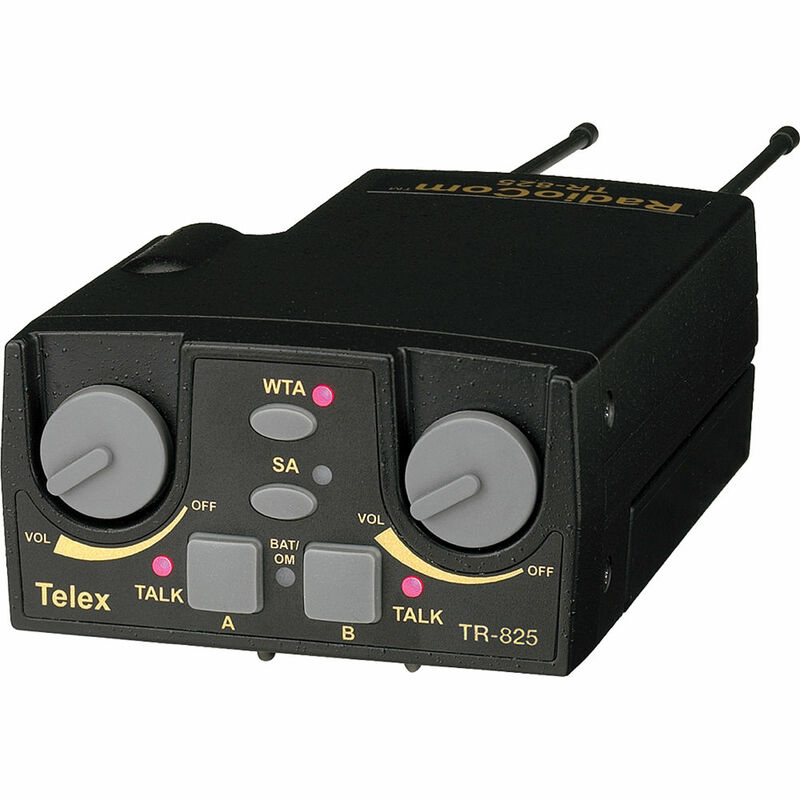 The Telex TR-825 2-Channel Binaural UHF Transceiver (A5M Telex, C3: 554-572MHz Receive/650-668MHz Transmit) is a 2-channel, binaural UHF frequency-agile wireless beltpack for use with the BTR-800. The unit features a durable met-cast magnesium case, an LCD based graphical user interface, and stage announce activation. This unit has an A5M Telex headset jack and works in the C3: 554-572MHz Receive/650-668MHz Transmit frequency range. Box Dimensions (LxWxH) 13.8 x 6.5 x 3.7"